For decades, Silverton Yachts has been one of the most popular mid-sized bridge-boat manufacturers in the industry. 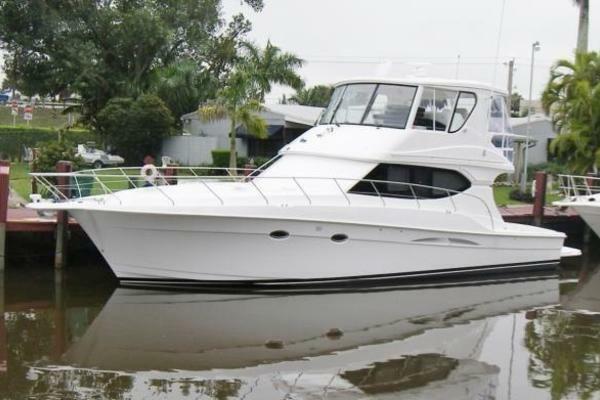 With so many options available on the MLS, let the expert team at United Yachts help you find the perfect pre-owned Silverton that meets your needs. Established in 1969, Silverton Yachts has maintained its image with high quality craftsmanship and sophisticated design. Growing out of a small coastal town in New Jersey, Silverton Yachts has continuously shown its skills by releasing a whole line of Convertible, Motor Yacht, and Sport Bridge models – all that reach Silverton top qualities. Product development and passion to excel within the industry have always been the driving force for Silverton boat builders and they have taken a great initiative in listening to what its owner’s want in the boats they own and what they hope to own in the future. Silverton has always made the effort to learn new construction technology, evolved and advanced layouts, and modern manufacturing equipment. Founders, John and Warren Luhrs created this corporation that has eventually evolved in being one of the most respected mid-sized bridge-boat builders. With achievements in product excellence and constant commitment to exploring new collaborations with dedicated dealers, Silverton has really made itself known in the industry. Built with the top qualities that Silverton represents, the 52’ Ovation is a different breed-one that is the foundation of this enterprise. It’s components and craftsmanship that is seen throughout the vessel are all just a reminder that Silverton boat builders know what they are doing. Sporting an average top speed of 33 mph, her performance characteristics are downright impressive – and exciting. Inside you will find the model laid out conventionally, with the galley, dinette, and saloon on the main deck and three staterooms and two heads below. Although built with large-scale space, it was the latter that really showcases the layout’s expansiveness. All the comforts of home can be seen in each stateroom with pillow top mattresses and cherry joinery throughout. Additionally, the engineering along with the up to date machinery makes for a smooth ride and made organization and accessibility top priorities. From the cozy comfort of the helm chair on the fly bridge to the smoothness of her electronic engine controls, the 48 Silverton Convertible is an essential model included in the Silverton fleet. 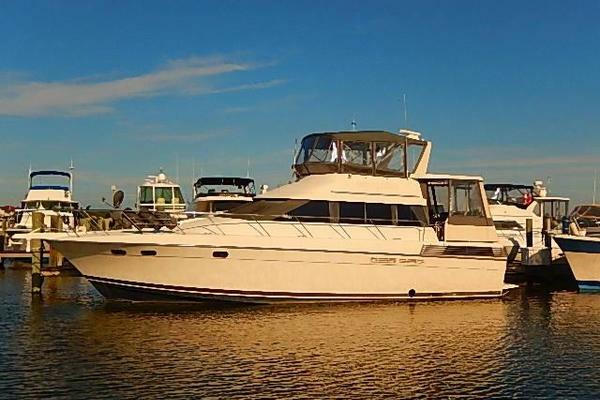 Easy and predictable, this accessible yacht has close-quarters quirks and characteristics that make docking a breeze for even those beginner captains. Inspired confidence is a key component of the 48, riding at a smooth 20 knots with unwavering steadiness. The engine room, built with extra headroom, is flawlessly finished with white gelcoat and top quality machinery making this yacht have an incredibly smooth ride with the help of minimal sound and vibration. The level of craftsmanship and high-end equipage can be seen throughout the interior including a dinette table crafted in solid cherry and finished with Corian countertops. 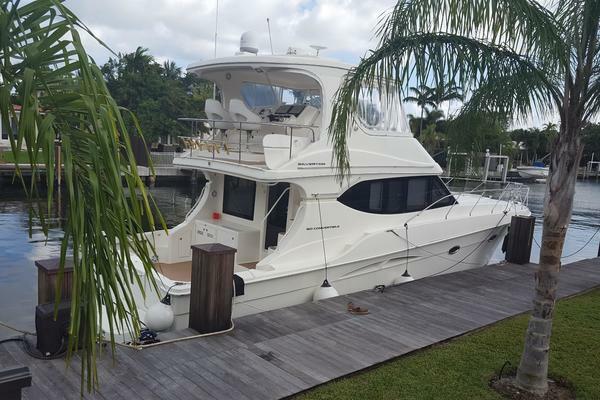 This galley-up, three-stateroom/two-head layout makes this vessel completely accessible for those wanting to enjoy a weekend on the water. A straight shooter, the 48’ won’t disappoint. Built with innovation in mind, the 453 Motor Yacht is an introduction to new concepts that changed the layouts of motor yachts in years to come. With her galley raised and adjacent to her dinette area, the chef can benefit from all the natural light pouring through the five windows above. Wanting a “great room” feel, Silverton has continuously made efforts in making space and flow a top priority. With a split stateroom plan in place, the master sits aft of the main salon while the guest is forward along with a small V-berth in the bow. 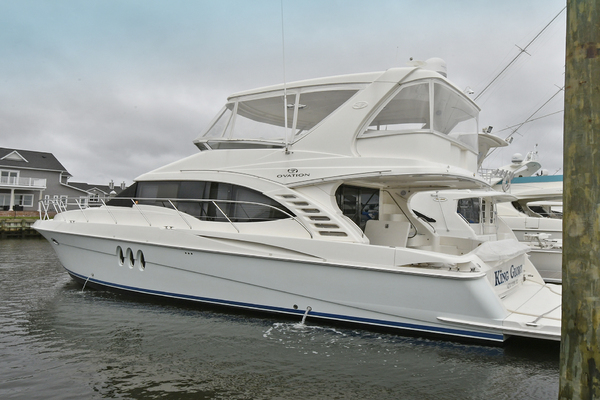 Comfortable and spacious, this motor yacht is no stranger to smart design and satisfactory details. From the flybridge, quiet is a key factor and at cruising speed you will hear nothing more than the waves splashing against the hull. The term innovation is clearly defined when you think of the 453 Motor Yacht, which continuously impresses boat owners and real Silverton fans.